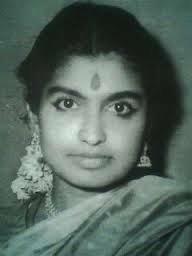 K. Rani started her cereer as a singer at 8th year. Totally she sang 500 songs nearly in 13 filmson those days. She sang in Telugu,Tamil, Kannada,Malayalam, Hindi, Bngali & in Simhalam, Uzbek languages. She sang before Dr.Sarvepalli Radhakrishna , President of India. In a chartered plance arranged by Karnataka Governement on those days. Raj Kapoor personally played rythyms when she sang some Hindi songs (O maine pyar kiya, mai kya karu ram mujhe budda mil gaya) on a stage show. HMV has released a special cassette on her name in their Golden Series.